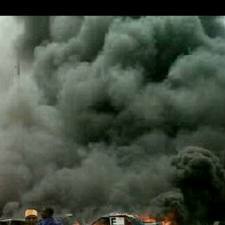 With Kaduna and Zaria on fire with other cities in imminent danger, President Goodluck Jonathan is attending the United Nations' Earth Summit, RIO+20, opening in Brazil on Wednesday. He will be accompanied by the First Lady, Dame Patience Jonathan, Governors Ibrahim Shema and Seriake Dickson of Katsina and Bayelsa States respectively, as well as Sen. Benedict Ayade and Hon. Eziuche Ubani of the National Assembly. The Ministers of Environment, Mrs. Hadiza Ibrahim Mailafiya, Water Resources, Mrs. Sarah Reng Ochekpe, Trade and Investment, Dr. Olusegun Aganga and Niger Delta (State) are on the entourage. 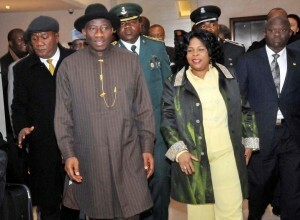 Let's pray the country is still intact upon his return. How can he go away when there's fire in his own house? Does this man know why he's called the president?